MALACAÑANG on Wednesday, February 6, said it will let the legal process run its course in the case of individuals involved in the Aquino government's bungled Dengvaxia vaccination program. Presidential Spokesperson Salvador Panelo issued the remark, as he stressed that the Palace respects the House panel's recommendation to file criminal and administrative charges against former President Benigno Aquino III, former Cabinet officials in the past administration, and several others in connection with the Dengvaxia mess. "We defer to the House of Representatives, belonging to a separate and co-equal branch of government, on its recommendation to file charges against officials of the previous administration and other private individuals over the government’s suspended dengue vaccination program," the Palace official said in a statement. "Let the legal process take its course and those found responsible be held administratively, criminally and civilly liable," he added. A report by the House panels on good government and public accountability and health said Aquino, former Budget secretary Florencio Abad, and former Health secretary Janette Garin should be held liable for graft, technical malversation and grave misconduct over the botched P3.5-billion nationwide immunization program. The House lawmakers claimed Aquino, Abad, and Garin "conspired and confederated with one another" to give unwarranted benefits to Dengvaxia-maker Sanofi Pasteur and ensure the government's bulk purchase of the vaccine despite lack of assurance over its safety. Dengvaxia was administered to over 800,000 children since 2016, or during the watch of Aquino. In 2017, Sanofi Pasteur announced that the anti-dengue vaccine may trigger severe symptoms if inoculated on those who have never contracted dengue. 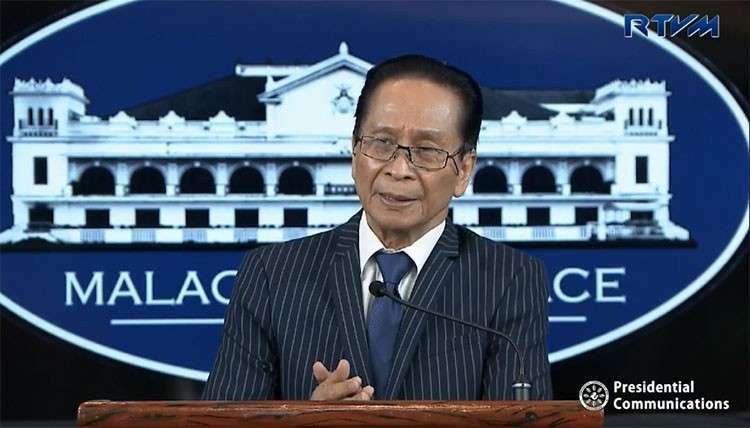 Panelo said the government, through the Department of Justice, would hold accountable those responsible for the botched anti-dengue vaccination program. "The Department of Justice will perform its task of evaluating the evidence presented before it and rule on the existence of a probable cause against the respondents," he said.